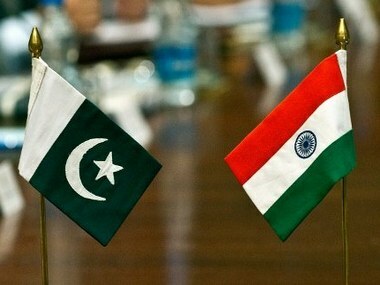 New Delhi: India and Pakistan have "different narratives" on Partition and the India-Pakistan wars, former foreign secretary Shyam Saran said on Wednesday, and insisted he does not see a "grand reconciliation" taking place between the two countries in the foreseeable future. The ex-diplomat, in response to a question, however, said he would feel "very disappointed" if one were to reimagine the geography of India and forget Pakistan. "India and Pakistan have different narratives on various issues, be it the Partition, the 1965 India-Pakistan war, the Kargil war, and well their (Pakistani) narratives are absolutely bunkum. And therefore I do not see any grand reconciliation taking place between the two countries," Saran said. India-Pakistan relations have been under strain for decades, born out of the scars of partition and the ensuing Kashmir conflict, besides a number of issues post-Independence like the case of Indian naval officer Kulbhushan Jadhav in the recent past. Saran, however, suggested that even in times of heightened tension "keeping more doors open" for greater people-to-people contact and trade would benefit India. Replying to a question on the role of the SAARC, he said, it is today "more important for India" than any other country. He said SAARC was the "only vehicle" which India had for bringing about the kind of economic integration that it was committed to and that without it any hope of playing an effective regional or global role would not mean anything. "Your ability to be more successful regionally as an Asian power, your ability to play a credible and effective global role, is very much dependent on how you manage your own periphery," he added. "But if that becomes a constant constraining factor and if your are constantly involved in trying to deal with crises operating in your neighbourhood, most of the oxygen you have is taken away by Pakistan....how much you have left for doing other things," he said. Saran was speaking at an interaction here hosted by think-tank ORF on his new book — "How India Sees The World: Kautilya To The 21st Century". The book, described as "part memoir and part thesis" on India's international relations since Independence, also revisits the strategic wisdom encapsulated in ancient texts such as Kautilya's Arthashastra and Kamandaki's Nitisara. The former diplomat while sharing his experiences also expressed his views on the diplomacy practised in the country over the decades in the context of Nepal and Bhutan. In India's foreign policy, he said, neighbourhood enjoys the highest priority, "but, you are not putting the human resources, the economic resources, that you actually need to manage that".